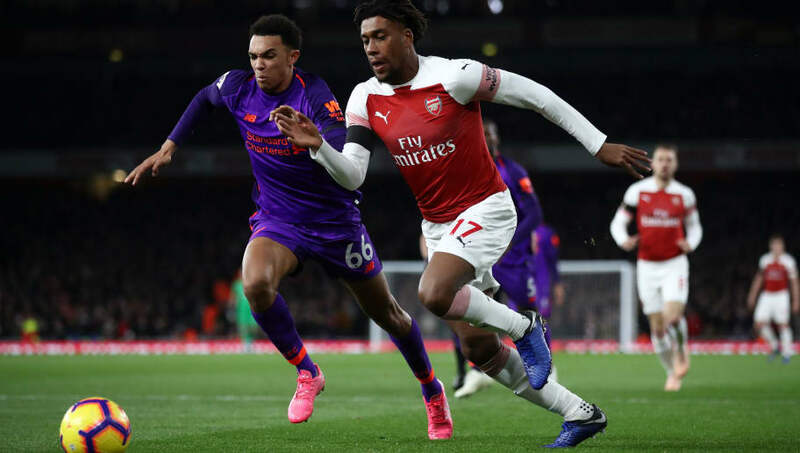 Arsenal boss Unai Emery has declined the chance to heap praise on Alex Iwobi following his excellent cameo role in the 1-1 draw with Liverpool, instead calling for the Nigerian to get his name on the scoresheet more regularly. Iwobi was brought into the fold with just over 20 minutes left for Henrikh Mkhitaryan and provided the assist for Alexandre Lacazette‘s equalising goal - his fifth assist of the season. The 22-year-old has been a source of frustration for Arsenal fans over recent seasons but under Unai Emery, the youngster has shown glimpses of his promising potential with the Gunners boss convinced there is still more to come. “Iwobi can impact hard in the match,” he said. “First he started on the right, then I thought he was better left. His impact in some moments in the match, like our goal, is important. “His energy is important, so is his quality. He can improve. He can do better. He scored against ​Chelsea, I want him to be nearer the box, having chances to score more. “He can. He is very young. He is improving. But also he has the ambition to do more,” added the Arsenal manager, as reported in the ​Evening Standard. Under Emery, Arsenal have been subject to a greater fitness training schedule and Iwobi has clearly benefited from the training - looking a far more physically imposing figure on the pitch. The Nigerian was even rewarded with a new contract in August, keeping him at the Emirates until at least 2023.